Here’s a run down of the 2018 Lincoln MKZ vs Cadillac CTS. These aren’t your grandpa’s Sunday cars. 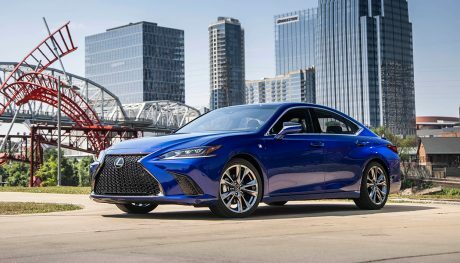 Luxury sedans have come a long way since the old-man car era. A luxury sedan used to be defined as a car with a leather interior, a big block V8 under the hood, power windows and air conditioning. That’s no longer the case as V8s are out (mostly) as the power plant of choice, and leather upholstery and power options are available in most cars today. Squaring off the 2018 Lincoln MKZ vs Cadillac CTS requires a bit of definition. What we are trying to determine is which car gives the best driving experience. So then let’s look at four categories: the all-important performance, over-the-top technology options, driver comfort and the ability to turn heads. To make things as even as possible, we’ll look at the top trim level from our two competitors. In the Cadillac corner, it’s the 2018 CTS V-Sport Premium Luxury. For Lincoln, it’s the 2018 MKZ Black Label. Let’s see how the two stack up. Who Reigns on the Blacktop? 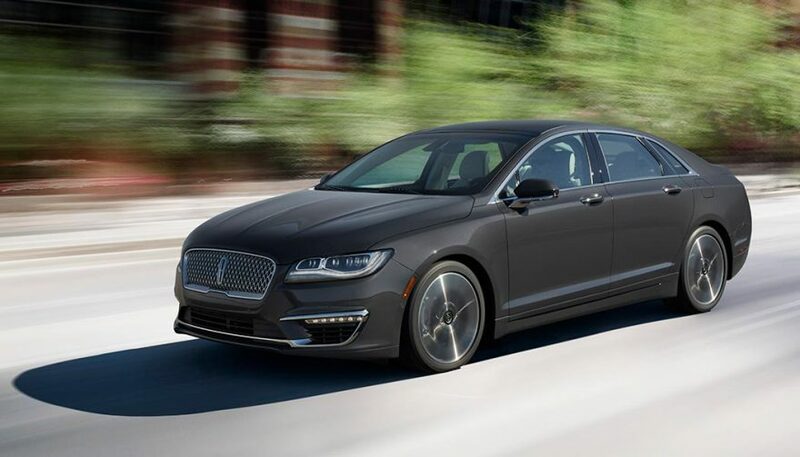 We’ve equipped our 2018 Lincoln MKZ Black Label with the available twin-turbocharged 3.0-liter Ti-VCT V6 and optional AWD. It has 400 horsepower and 400 lb-ft and that kitten-like purr that premium car owners love. When you mash the gas pedal to the floor, the Lincoln MKZ has that high-pitched turbocharger whine as it launches to 60 mph in 4.8 seconds. The 2018 Cadillac CTS we’ve chosen has a similar design with a substantially higher displacement. It’s a twin-turbo 3.6-liter V6 making 420 horses and 430 lb-ft of torque. That sounds like an advantage, but is it? 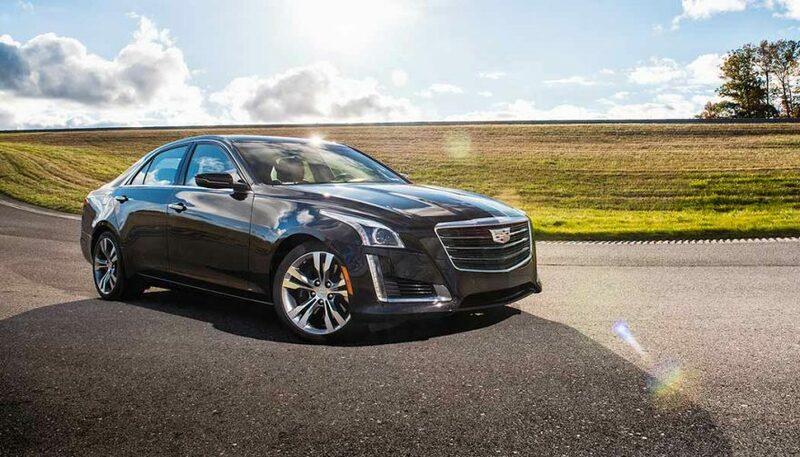 The CTS with the twin-turbo engine doesn’t have AWD available, so controlling all that power from the rear wheels is an issue. In a straight line, it rips up to 60 mph in 4.7 seconds. While it might be more stable to drive the Lincoln MKZ on a regular basis, the Cadillac CTS outpowers and outperforms it slightly. Advantage Caddy. I expect we’ll see some separation in the available technology. 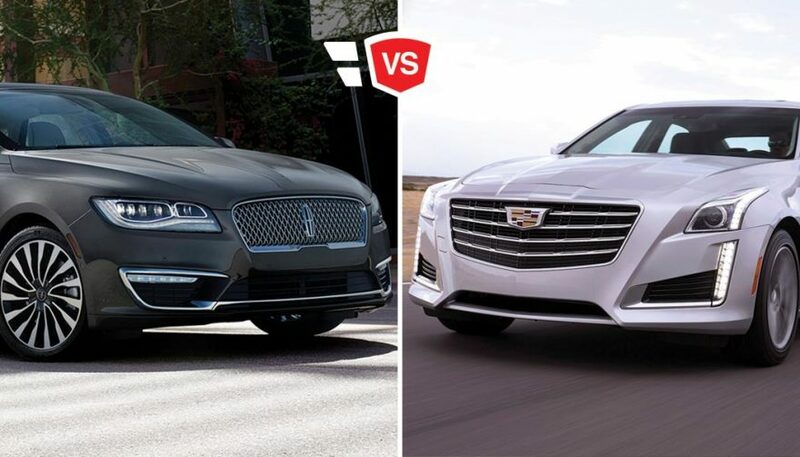 The top-tier, fully loaded Cadillac CTS is nearly $72,000 while the Lincoln MKZ barely breaks $61,000. The Cadillac CTS includes a full-color head-up display unit and an all-digital instrument cluster that can be fully reconfigured. 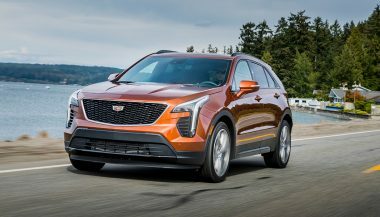 Cadillac CUE might not be everyone’s cup of tea, but it has everything you can imagine for connectivity. Surround vision display, automatic parking assist, and magnetic ride control are all standard features at the V-Sport Premium Luxury level. Tri-zone climate control and rear window shades – including an available power rear window shade – are just a few extras you’ll enjoy. Driver-assistive technologies are obviously part of the package. Does the 2018 Lincoln MKZ compare? Driver-assist tech is available, including adaptive cruise control, enhanced active park assist and more. The available Black Label Drivers Package adds dynamic torque vectoring and sport-tuned suspension. SYNC 3 is standard, which is decidedly a better system than the Caddy’s CUE. It also includes a fantastic 20-speaker Revel Ultima system. But there’s some stuff missing. There’s no head-up display or surround vision camera. Does it add up to an $11,000 price difference? No. 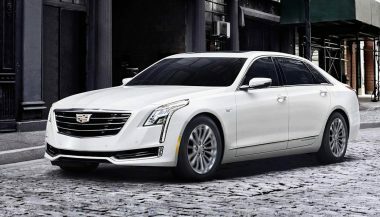 However, if you’re looking for the best in luxury, Cadillac seems to have it, for a price. Advantage, Cadillac. When it’s about feeling good when you’re in the driver’s seat, both our competitors have the knack. Delving into the details will help us decide which is better. 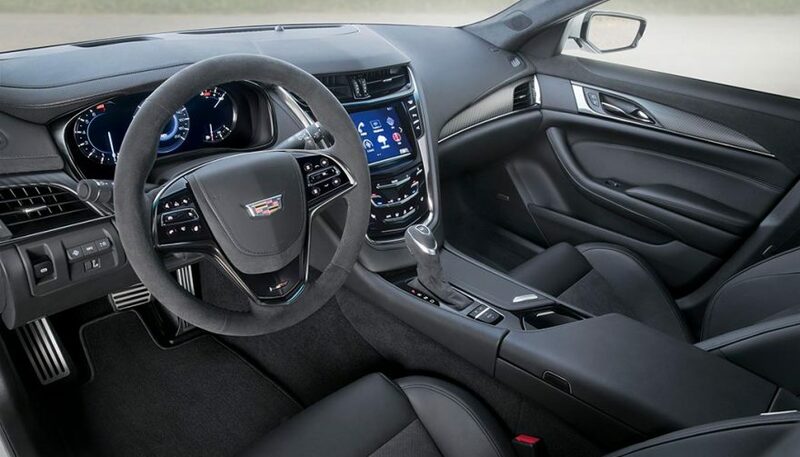 The 2018 Cadillac CTS V-Sport Premium Luxury has the comfort aspect covered quite well. It includes tri-zone climate control, heated and ventilated front seats, a heated steering wheel, and absolutely fantastic leather choices including semi-aniline leather upholstery. Everything around you is power-operated, from one-touch windows to an available 20-way driver’s seat. The 2018 Lincoln MKZ Black Label also includes a heated steering wheel and multicontour front seats with active motion that are heated and cooled. The interior detail is far beyond that of the Caddy with Venetian leather seat inserts in stunning color palettes and stitching designs. A massive retractable panoramic glass roof is a nice touch too. The two are quite similar in comfort. 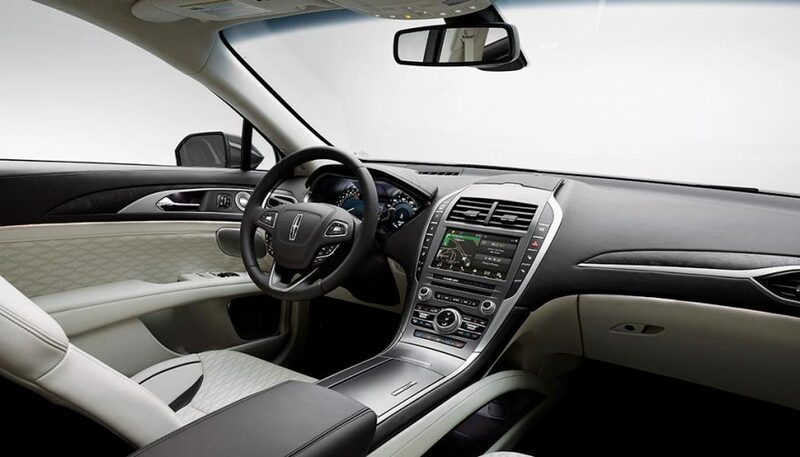 The 2018 Lincoln MKZ gets the nod, making itself uniquely comfortable with the impressive interior themes. Advantage, Lincoln. Appeal. A luxury car has to look good. It must catch someone’s gaze as you drive by and keep them thinking about it long after. Which car does that? The 2018 Lincoln MKZ abandons tradition. LED signature lighting and a Jaguar-like chrome front grille are like jewels around a supermodel’s neck. The svelte exterior looks athletic but not bulky or muscular, and the 19-inch alloy wheel options make a statement. On the rear, the long, wide light bar is definitively Lincoln. It’s quite the contrast to the 2018 Cadillac CTS. This model is sharp and angular. Its characteristics are more emboldened with sporty 19-inch wheels, vertical LED light bars and heavy use of straight lines. It’s a matter of personal taste, and mine goes toward the Lincoln MKZ. However, because both are attractive in vastly different ways, we’ll call this one a tie. 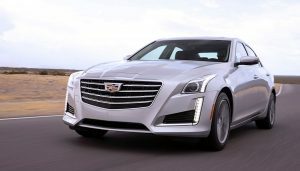 The Cadillac CTS takes the win in this luxury sedan comparison based on its high level of equipment, essentially. Performance is almost a tie and both are great-looking cars. But when you want a car of excess, the Cadillac CTS outdoes the Lincoln MKZ. Unfortunately, that includes an $11,000 price premium. 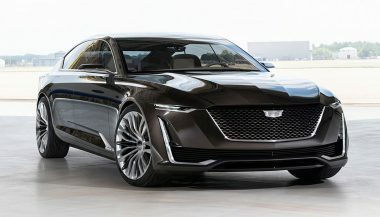 The bold, forward-thinking Cadillac Escala design has outstanding performance and styling. It’s a sign of good things to come from Cadillac.